하릴 없이 열차나 버스를 기다리며 어서 오길 기도하지 않나. 덴마크는 한층 더 심하다. 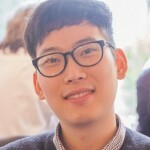 덴마크 대중교통 체계는 혼란스럽다. 새로온 사람이나 오래 산 사람이나 심지어 덴마크인마저도 마찬가지다. 덴마크 대중교통 체계를 이해하려면 꼼수를 알아야 한다. 이제부터 나나 다른 사람이 매일 써먹는 팁을 알려주겠다. 덴마크인이 가장 흔히 쓰는 대중교통 웹사이트·앱은 라이스플래너(Rejseplanen)이다. 언어를 영어로 바꿔 쓸 수 있으니 참고하자. 개인적으로 이 앱은 그다지 좋아하지 않는다. 바뀐 운행시간표가 반영되기까지 늘 시차가 있기 때문이다. 가까운 곳을 간다면 크게 문제되지 않겠지만, 장거리를 움직인다면 다른 방법을 쓴다. 바로 구글지도(Google Maps)다. 철도청 DSB나 대중교통 컨소시엄 DOT 웹사이트도 일정 계획에는 라이스플래너를 쓴다. DSB는 덴마크에서 모든 열차와 S트레인, 지하철을 책임지는 회사다. DOT(Din Offentlige Transport·Your Public Transport)는 덴마크에서 가장 큰 질랜드(Sealland)를 비롯해 섬에서 모든 버스를 운영하는 회사다. 두 회사 웹사이트는 각기 다른 정보를 게시한다. 가격, 대체 교통 수단, 연착 및 운행취소 내역, 코펜하겐 지역(zone) 등 정보를 보여준다. 나는 주로 버스를 타기 때문에 DOT를 자주 쓴다. 출발할 버스 정류장과 도착지를 지나는 각 노선별 운행 정보를 찾아보기 쉽다. 웹사이트가 어렵다면 더 쉬운 방법도 있다. 버스정류장에도 운행시간표가 붙어있다. 덴마크어로만 적혀있지만 이 한줄만 알아도 시간을 절약할 수 있다. 아래 사진에 빨간 밑줄을 그어뒀다. 이런 뜻이다. “여기 적힌 글자와 숫자를 문자메시지에 적어 1250번(늘 4자리 숫자다)으로 보내면 버스가 정류장에 도착할 시간을 알려드립니다.” 자주 다니는 정류장이라면 사진을 찍어두자. 만일 SMS가 공짜인 통신사를 이용하면 돈이 전혀 들지 않는다. 정류장마다 글자와 숫자가 조합된 고유번호가 다르다. 그러니 고유번호를 꼭 올바로 적어 보내는지 확인하자. 앞서 말했듯 일정을 계획할 때 나는 구글지도를 쓴다. 가족이 코펜하겐에 살지 않기에 집에 가는 길이 조금 복잡하다. 구글지도는 내게 가장 편한 경로와 가장 빠른 경로를 보여준다. 매일 지나는 길이라도 구글지도를 보면 대중교통이 빠른지 운전하는 게 빠를지 알려준다. 걸어가거나 자전거를 타고 갈 때 시간이 얼마나 걸리는지도 알려준다. 가끔 차가 막힐 때는 대중교통을 타기보다 자전거를 타고 가는 편이 더 빠르기도 하다. 라이스플래너나 구글지도 모두 내 정확한 현재 위치를 알고 예상 소요시간을 계산해주기 때문에 무척 정확하다. 또 달력과 알람 기능도 있어 정확한 여정을 미리 파악하고 스케줄을 짤 수 있다. 마지막으로 말해주고 싶은 것은 표다. 내가 타야할 버스나 기차를 찾는 일보다 표 사는 과정이 더 까다롭다. 덴마크에 일주일 넘게 머물 계획이라면 라이스코트(Rejsekort)라는 카드를 사길 추천한다. 한국 교통카드 같은 거다. 대중교통 표를 사는 가장 저렴하고 간단한 방법이다. 선불식 교통카드처럼 라이스코트도 충전해야 한다. 역 근처 거의 모든 세븐일레븐 편의점에서 라이스코트를 충전할 수 있다. 모든 기차역에 있는 ATM에서 충전해도 된다. 라이스코트를 쓰려면 스마트폰을 이용해 온라인으로 사거나 오프라인 실물 카드를 구입하자. 카드 구입은 쉬워야 할텐데, 사실 나도 잘 모르겠다. 그렇다고 걱정하지는 말자. DOT 웹사이트가 라이스코트 구매 방법을 자세히 설명해뒀다. 매일 출근길에 버스나 기차를 타나. 그럼 월정기권(pendlerkort/månedskort)을 사자. 이 표를 사면 30일부터 365일까지 정해진 기간 안에 모든 버스와 기차를 탈 수 있다. 코펜하겐뿐 아니라 덴마크 전역을 아우른다. 통근거리가 길 수록 표값이 올라간다. 표값이 무척 비싸다고 느낄 수 있는데, 걱정하지 마라. 통근용으로 월정기권을 산 비용 대부분은 세금에서 환급받을 수 있다. 매달 교통비로 700크로네 이상을 지출하면 교통비 대부분을 세금에서 환급받을 수 있다. 코펜하겐에 하루(24시간)나 3일(72시간) 정도 머물 여행자라면 1일권이나 3일권을 사자. 이 표를 사면 24시간 또는 72시간 동안 코펜하겐에서 모든 버스가 기차를 찰 수 있다. 시티패스(city pass)라는 표를 사면 버스나 기차도 타고 코펜하겐 인근 박물관도 입장할 수 있다. 마지막으로 덴마크에 사는 학생이 살 수 있는 청소년 표(ungdomskort)를 설명하겠다. 선불권이니 대중교통을 탈 때마다 번거롭게 표를 사지 않아도 된다. 학생 할인이 적용돼 요금이 무척 저렴하다. 학교에서 청소년 표를 알려주지 않았다면 매표소나 웹사이트에서 청소년 표를 사자. Sick and tired of waiting for the train or bus and just hoping that it’s going to come soon? 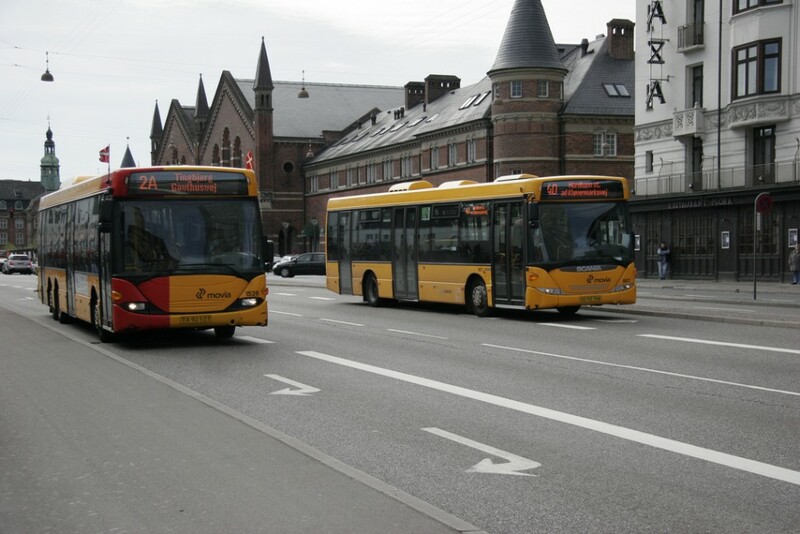 Well, when you live in Denmark it doesn’t matter if you are new, old or a Dane – the Danish public transportation is confusing if you don’t know any tricks at all. So I’m going to tell you some of my everyday tricks and what other people do. The most common website/app Danish people use is Rejseplanen. This page is not only in Danish. You can change it into English. Personally, I don’t really like this app too much because it’s not always updated with delays or changes. For short trips it’s fine but for longer trips, I prefer something else called google maps. When you look on websites like dsb.dk (trains) or dot.dk (buses) you will see that they use rejseplanen for planning your travel. DSB is the company that is in charge of all the trains, s-train and metro here in Denmark. Dot – din offentlige transport is in charge of all the buses on Sealland and the Islands. On both webpages you will be able to find different prices, zones (Copenhagen), replacements and delays/cancellations. Since I use buses as my daily transportation I rely on DOT a lot. It’s easy to go check the different bus schedules for your bus stop and your destination. If you find this confusing there’s an easier way. When you stand at your bus stop then look at the schedule. Even though it’s all in Danish there’s a line that will help you save some time. It goes like this “send en sms (alm. sms takst) til 1250 med teksten: S 239 L 250s og få besked om hvornår bussen køre”. It means that you have to send a text message to the number 1250 (only 4 digits, no more) with the written letters and numbers and then you will know when your bus is gonna be at your bus stop. It’s a good idea to take a picture of it so you always have it. If you have free SMS, it doesn´t cost you anything otherwise it costs the same as a normal SMS. Also you have to be aware the letters and numbers are different for each stop so it’s important that you write the number it says on the board. If you are not sure of which letters and numbers it is then look at the picture below. 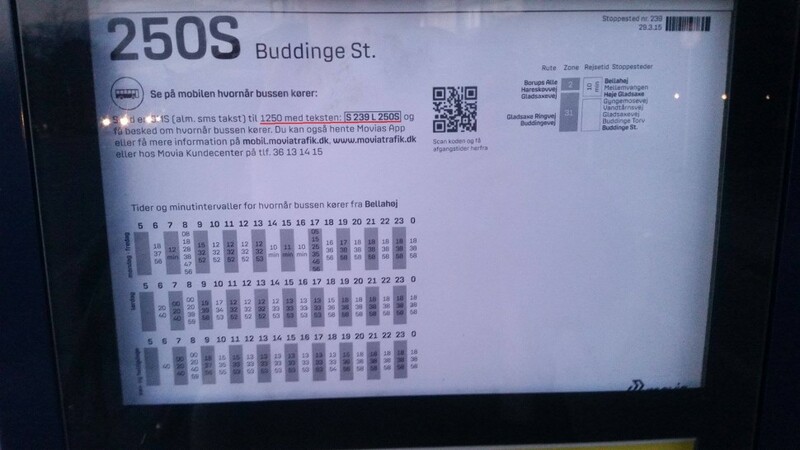 An Avarage bus schedule with highlights under where to send the text. As I said earlier, I prefer using google maps when I’m planning my trips. Since my family doesn’t live in Copenhagen, it takes a bit more planning when I have to go home. When I use google maps I can see the easiest and fastest route. Even for my everyday routine. It shows me how fast it will be by car, public transportation, walking, taking the bike or if you want to hitch high. So sometimes you can actually save time by taking the bike instead of using the public transportation. One thing that should also be said and this goes for Rejseplanen and Google maps (as apps) is that both of them use your exact location so there’s no need to hurry up even more. Both of this also have a calendar and a clock so you can change time and date for the exact journey. One last thing I want to talk to you about is tickets! The whole process of buying a ticket can be even more confusing than finding the right bus/train. If you stay in Denmark for more than a week I would recommend getting a card we call Rejsekort. It has the same function as the Korean t-card and it’s the cheapest and simplest way to get a ticket. Just as the t-card, rejsekort also needs to be charged. Most 7-11 shops close to the station (outside of the city center) are able to charge it for you. Otherwise there’s an “ATM” at every single station where you can charge it. If you don’t have a rejsekort you can buy tickets through your cell phone online and also offline. It should be easy to use but I honestly don’t get it. However don’t worry if you go to dot.dk you will find all the information you need and explanations on how to do it. Do you have to take the train or bus everyday to go to work? You can buy something called a pendlerkort/månedskort. This will give access to bus and train for a certain period of time (from 30 days to 365 days). This is not only for Copenhagen but for all over country. It might seem like a lot of money depending on how far you need to go. But what most people don´t know is that most of the money is something you get back from your taxes if it’s over 700 kr. you use every month. If you are a tourist in Copenhagen for a day (24 hours) or for three days (72 hours) you can buy a ticket called 24 hours or 72 hours which is for buses and trains so that you can travel around and see as much as possible in Copenhagen. We also have something called a city pass which not only gives you access to buses and trains but also to give you access to certain museums around in Copenhagen. 날카로운 지적 감사합니다, 형진님. 읽기 쉽게 의역하다 뜻을 오역해버렸습니다. 형진 님이 말씀해주신 내용이 맞습니다. 좀 더 뜻이 잘 드러나게 수정했습니다. 환급 방법 , 절차를 알수있을까요?